The 76 women selected for the inaugural Homeward Bound voyage all had a background in science, covered a broad range of professions, occupations and career levels, and were selected based on their potential to use scientific knowledge and methods to impact on decision making as it relates to the state of the planet. Pathways and mechanisms for having impact formed a core part of discussions on-board. This first cohort of women began their online learning journey in October 2015, culminating in core program delivery while voyaging around Antarctica on MV Ushuaia from 2 to 21 December 2016. This first group of alumnae provided important feedback that has since helped evolve Homeward Bound in many ways, bringing closer to fulfilment our ambition to develop a 1000-strong global network of women to lead, influence and contribute to the decision making around our ‘planet as home’. Aimee, 28 years old, calls Hobart, Tasmania home. She recently finished a Bachelor of Science after delaying study while travelling the world and living in Switzerland. She loves learning about, exploring and being in the natural world. When Aimee’s not studying ecology, you will find her hiking, rock climbing or working as a canyoning guide in Tasmania’s wilderness. Aimee will continue her studies next year, undertaking Honours in Plant Ecology. Aimee hopes to use her knowledge and skills gained through her studies and the Homeward Bound program to reduce the detrimental impact our species is having on the planet. Amanda is a Senior Lecturer in the Department of Planning and Geography at Curtin University in Australia. She researches population demographics and migration, leadership and rural development issues. She teaches both geography and planning students, with an emphasis on rural and regional development, research methods and migration. Amanda is an applied researcher and has partnered with industry to complete studies on policy relevant issues related to regional and rural change, adaptation and socio-economic viability. She is currently involved in research examining the role of local leadership, volunteering and social innovation in promoting sustainable adaptation in rural societies. 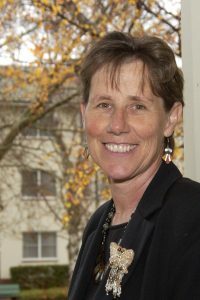 Amanda has held numerous leadership roles at Australian Universities and with the Institute of Australian Geographers. Currently, she is an editor of Geographical Research and a board member of numerous research groups. Professor Andrea Robinson is a synthetic organic chemist and academic at Monash University, Australia. She heads a vibrant research group who are currently investigating insulin, analgesics from venoms, natural product synthesis, and sustainable generation of polymers from renewable feedstock. She has worked in industry (DuPont Merck Pharmaceutical Company, US) and has performed several major roles in her University, including the role of Associate Dean (Research). In addition to teaching, she currently heads the final year of a visionary BSc (Global Challenges) degree. When not at work, Andrea relaxes with her family, husband Paul and two teenage boys, Aaron and Kane. 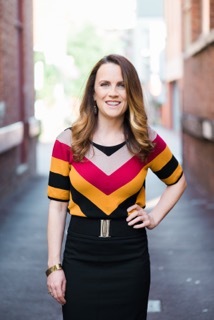 Belinda grew up in Sydney and has worked on high-profile projects and campaigns in the not-for-profit sector, with both Australian and global impact. Upon finishing her Bachelor of Environmental Science, Belinda moved to London where she led the climate change and sustainability campaigns for the largest women’s charity in the UK. 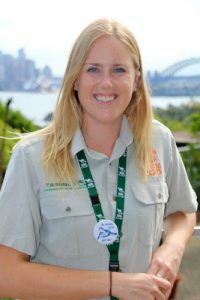 On return to Sydney, Belinda led the Wilderness Society Sydney as the NSW Campaign Manager, before moving to Taronga Conservation Society Australia as the Community Conservation Manager in 2015. Key milestones include developing the Women’s Institutes Carbon Challenge, achieving new protected areas within NSW and leading Taronga’s campaign against the illegal wildlife trade through partnership with Google, TRAFFIC and recently San Diego Zoo Global. Britta Hardesty has been leading a portfolio of marine debris projects, receiving national and global recognition in leading plastic pollution research with high value and impact. 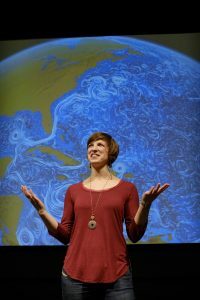 As a broadly trained scientist who has worked on all the continents, she brings a unique understanding to environmental issues. Britta increasingly provides scientific advice on plastic pollution issues to governments, non-government organisations, industry and other stakeholders, internationally and within Australia. She is passionate about science with impact, engaging the next generation and science communication. She works intensively with community groups and citizen scientists of all ages to find simple, affordable, effective solutions to debris and litter-related problems. Claire is from Canberra, Australia, and has a Bachelor of Environmental Science, majoring in Integrated Environmental Management, Ecological Conservation, Environmental Assessment, Applied Ecology, and Water Science. She currently works for the Environment Protection Authority in NSW as a Regional Operations Officer. Her previous experience includes researching African wild dogs in Tembe, South Africa and working as a researcher and writer for the National Parks Conservation Association in Washington DC. Claire is passionate about conservation, sustainable natural resource management and climate change adaptation. She is excited about the opportunity to participate in the Homeward Bound program, and is looking forward to having the chance to meet and collaborate with scientists from around the world. 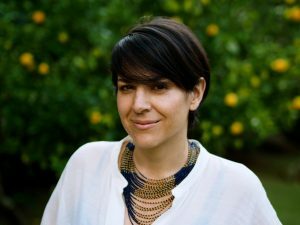 Cristina has nearly a decade of experience working across the New South Wales environmental sector, in both public and private roles. 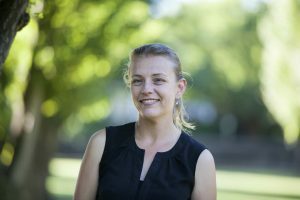 She is currently an environmental water planner at the NSW Office of Environment and Heritage, where she guides the management of fresh water in the Murray-Darling Basin. Cristina is looking forward to her trip to Antarctica – and even more to the extraordinary company along for the journey! She’s especially eager to explore ways to ensure Australia’s freshwater ecosystems remain resilient to climate change. Cristina has a Bachelor of Biology and a Masters of Environmental Management. 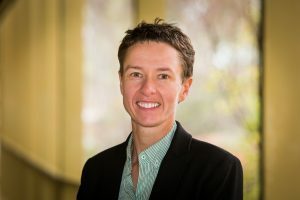 Professor Elanor Huntington was appointed the Dean of the College of Engineering and Computer Science in June 2014, and is the first female Dean of Engineering at the Australian National University. She is committed to growing the profile of Science and Technology in the community, and is passionate about attracting more young women to take up careers in STEM-related fields. Professor Huntington has previously held the position of Head of School of the School of Engineering and Information Technology at UNSW Canberra at the Australian Defence Force Academy. 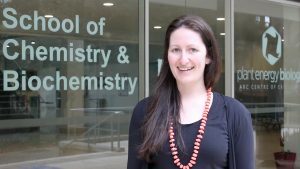 She holds a PhD (2000) in experimental quantum optics from the ANU. From early 1999, she spent 18 months at the Defence Science and Technology Organisation working in science policy. Professor Huntington’s current research interests are in the control of quantum systems, with a particular interest in the interface between theory and applications. She is a program manager in the ARC Centre of Excellence for Quantum Computation and Communication Technology. Ghislaine was born in France and relocated to Australia 10 years ago. She is a PhD student at the University of Western Australia, where she studies the gut community of local termites. In particular, she is interested in whether the gut flora can be shaped by feeding termites plants of interest. This research could lead to the optimisation of cellulose breakdown in plant matter suited to biofuel production, such as wheat straw. Following completion of her PhD, Ghislaine aims to pursue a career in renewable energy to help create more sustainable societies. Holly wants to be inspired by and inspire others. She wants to influence people to change their behaviour to be more sustainable. But first she needs to iron out the unhelpful patterns in her behaviour and thinking. What better place to do this than on a ship in Antarctica? Younger years as a sailboat captain, trek leader in Nepal, cross-country ski guide in Australia and documentary filmmaker took Holly far and wide. 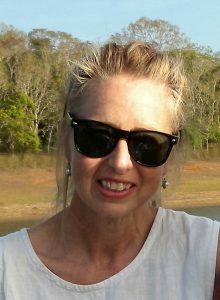 She settled in Australia, lives on an intentional community in the coastal rainforest, and has worked for National Parks for 18 years as a GIS technical officer, planner, fire management officer and currently a Ranger. 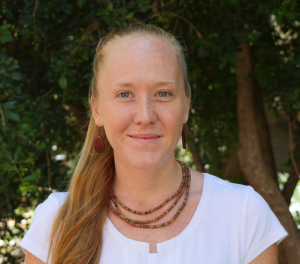 Dr Jessica Reeves is a Senior Lecturer in Environmental Management and Sustainability at Federation University Australia. Her research is in long-term climate and environmental change, and human impact on wetlands. Her approach uses a combination of ecology, chemistry and sedimentology to determine the history of and resilience to impacts in aquatic environments. Jess is passionate about bringing people along on the journey to a more sustainable future. She has two children and lives in Central Victoria. Johanna is an atmospheric scientist with a PhD in Antarctic Meteorology. 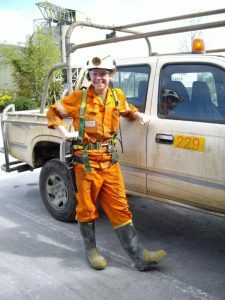 She enjoys her job at Snowy Hydro Ltd, a hydroelectric energy company operating in Australia’s alpine region, where she looks after their weather and climate services. She wants to live in a world where quality science is used to make more informed decisions in the way this planet is managed. When she’s not working, she enjoys family life and the great outdoors with her partner and their little boy. 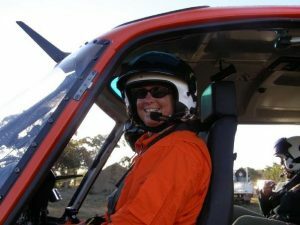 Kathleen is a Science Communicator, Geologist and Tertiary Educator with experience in various roles across the resources industry and science education in Australia. She spent her youth singing and playing violin in folk bands, string quartets and orchestras around Queensland. 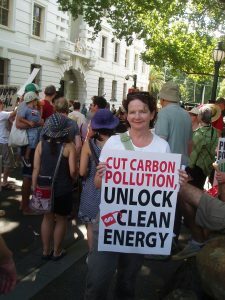 As a professional scientist, she has held volunteer roles as a science advocate including President of the WA branch of Professionals Australia and as a current member of their National Science Committee. 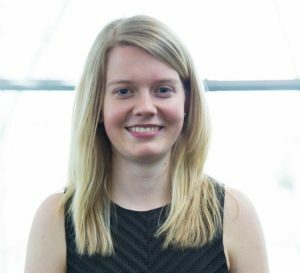 Lauren has five years’ experience as an Environmental Technician/Consultant within the Contaminated Sites Team in a global private environmental and ground engineering consultancy. 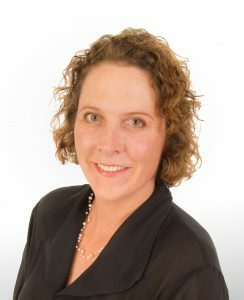 She has been involved in a multitude of small- to large-scale projects at various sites in Western Australia and Victoria related to contaminated site assessments, compliance monitoring, landfill monitoring, baseline environmental assessment, acid sulfate soil assessment, waste classification and wetland assessments. Lindsay is Professor in Environment and Development at the University of Leeds. She is an interdisciplinary systems researcher interested in livelihood-environment relations and stakeholder engagement in environmental governance. In 2013, she received a Philip Leverhulme Prize for her work on sustainability in drylands. She was Director of the University’s Sustainability Research Institute 2011-2014. She is currently Coordinating Lead Author for the Intergovernmental Platform on Biodiversity and Ecosystem Services (IPBES) Africa Regional Assessment; Lead Author on the IPBES Land Degradation and Restoration Assessment; and chairs the CGIAR Dryland Systems Independent Task Force. She has published more than 100 journal papers. Marianne is a geologist, business owner and mother of two young boys. Born and raised in a modest, suburban Sydney household, Marianne’s decision to become a geologist came as a surprise to her non-scientific parents. Her mother’s advice that geology would be a male-dominated and remote field to work in proved to be the case. Marianne’s career has taken her from the top of Australia in Weipa to the pits of the earth underground in Mount Isa. 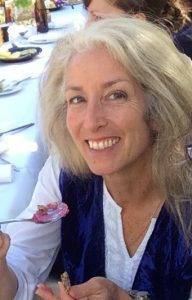 Currently based in the Hunter Valley of NSW running her own consultancy, Marianne has worked in exploration and mining for over 20 years. Merryn started out as a marine scientist, but she soon realised that talking to people about her science could do a lot more. She moved to science communication and has stayed there ever since in a variety of roles and countries. Merryn has slimed presidents, made children laugh and created programs and events to change ideas, inspire interest in science and to help protect the environment. She is now a lecturer and researcher in science communication, helping the scientists, public health workers and policy makers of tomorrow to communicate clearly and with influence. 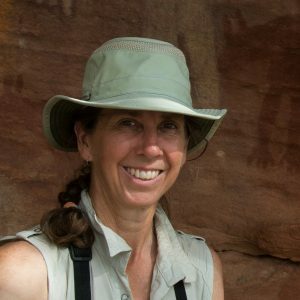 Nancy’s passion for the natural world has led her to work in alpine, Arctic, rainforest and desert ecosystems. 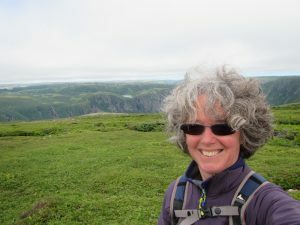 Her connections to the living world and interactions with the increasingly distressed biosphere have inspired her commitment to biodiversity conservation. 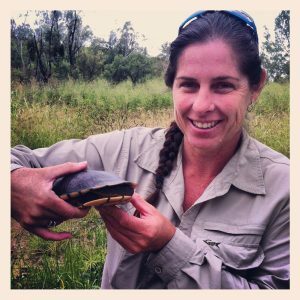 She was awarded a PhD from the University of Queensland for her research into prioritising management actions for conservation of threatened flora and fauna. She was compelled to participate in Homeward Bound to join other women scientists in creating an alternative future. She advocates a holistic stewardship of nature and the environment over economic growth. She avidly birds, skis, runs, rock-climbs and knits. Nicole is a Principal Research Scientist at the Australian Institute of Marine Science. 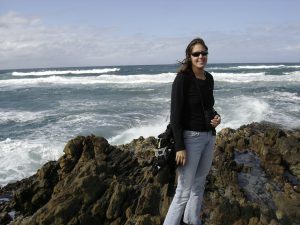 Her research career has unified around studies of reef invertebrate holobionts (host and associated microbial communities) with a particular focus on investigating how microscopic life contributes to the function and fitness of host organisms. Nicole mentors a dynamic team of early-career researchers who explore the various roles microbes play in coral reef health and adaptation. In particular, Nicole assists them translate this research into strategic tools for reef management. Nicole balances her research with parenting three wonderful children, a puppy and a budgie. 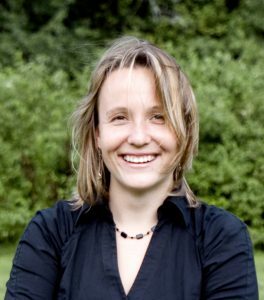 Phoebe is a conservation and global change biologist, behavioural ecologist and sustainability strategist. She is US-born and raised, but has spent most of her career in Namibia and South Africa, equally in the scientific/ academic and national/ international policy arenas. Phoebe is Lead Scientist: Climate Change BioAdaptation and Head: Biodiversity Futures at the South African National Biodiversity Institute, but is transitioning to an exciting new role as Executive Director of the Pacific Biodiversity Institute, USA and Argentina, and affiliate professor of conservation biology at University of Washington. In her spare time, she rings birds, climbs erupting volcanoes, trail-runs in mountains, adventures with her family and filmmaker husband, and exults in life on Earth. Robyn is a medically trained epidemiologist and specialist public health physician. She is Professor and Head of the National Centre for Epidemiology and Population Health at the Australian National University, where she leads the Environment, Climate and Health theme. Her research focusses on risks and benefits of sun exposure, including for autoimmune diseases such as Multiple Sclerosis. Lucas leads the health chapter for the United Nations Environment Program Environmental Effects Assessment Panel for the Montreal Protocol on Ozone Depletion. Most importantly, she is the mother of four amazing young adults who are forging their own paths in STEMM. Samantha is an advocate for sustainable buildings and cities. Starting out in business, she returned to university to study science and sustainability management in 2007 after travelling and working overseas. She was frustrated at the lack of practical pathways for climate change mitigation. Her passion is in the integration of wellbeing and environment using practical tools which link research and practice. Her PhD produced a performance evaluation and improvement tool for commercial buildings. She is now a Postdoctoral Research Fellow at UNSW School of Built Environment and Curtin University, researching evidence-based decision making for sustainable buildings. Samantha has an entrepreneurial spirit, is active in the start-up community and aiming to enable more women to take their ideas to positive action. Sarah is a molecular parasitologist studying how the malaria parasite survives in red blood cells with the aim of finding new drug targets to cure this devastating tropical disease. 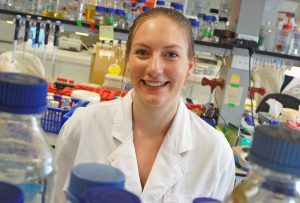 Sarah completed her PhD at the Burnet Institute in Melbourne, Australia after moving from malaria drug discovery in London at LSHTM. She was born in South Africa and witnessed the effects of maternally transmitted HIV on young people. Feelings of helplessness sparked her interest in tackling diseases that disproportionately affect the poor and vulnerable. 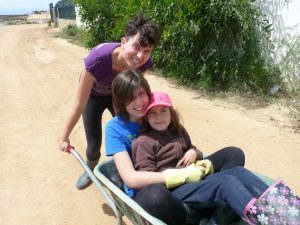 She enjoys collaborating and thinking up new schemes, often while camping or mountain biking in the Australian outback. Sharna is a cognitive neuroscientist based at Monash Institute for Cognitive and Clinical Neurosciences and ARC Centre of Excellence of Integrative Brain Function at Monash University. Sharna is passionate about learning about the brain dynamics that underlie our behaviour, in both health and disease. In her ARC DECRA Fellowship, Sharna is studying how older people can compensate for age-related changes in the brain, to maintain cognition at healthy functioning levels even in the presence of significant brain pathology. The ultimate goal of this research is to develop a therapeutic intervention to help older people live healthy and independent lives for longer. Alison is an Operational Meteorologist at the Met Office and is currently based at RAF Leeming, Yorkshire. Her work involves generating forecasts and briefing the pilots who operate from the airfield. Before this, Alison studied Natural Sciences at the University of Cambridge, specialising in Chemistry. She loves travelling and has undertaken expeditions to Svalbard in the Arctic and the Omani desert, as well as working as a cook on a dive boat travelling around the Scottish and Norwegian coasts. She cannot wait to see Antarctica and meet all the inspiring women going on the Homeward Bound expedition. 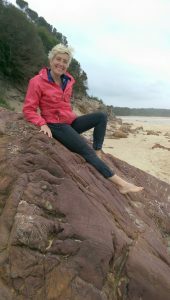 Amanda is a Masters student studying Ecology at the University of Tasmania. Her current research investigates how climate change affects soil nitrogen cycling, which is important as plants need nitrogen to grow, and we all need plants to survive! 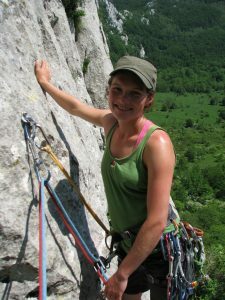 She also worked in Outdoor Education for eight years, taking young people on adventure in the wilderness to inspire them to connect with and care for our environment. She is now studying science as she believes it is the toolkit with which we can develop practical solutions to the many environmental challenges of our time. Anne is a native Minnesotan who grew up hiking, fishing, swimming and exploring in the North Woods. She holds a Bachelor’s degree in Environmental Policy from St Olaf College, a Masters in Biodiversity Conservation from the University of Oxford, and is currently a PhD student in the University of Minnesota’s Natural Resources Science and Management program. Previously, she worked in the US House of Representatives writing and advising on energy and environmental legislation, for Ocean Conservancy advocating for science-based marine policy, and held the position of Vice President of DC EcoWomen, a non-profit organisation working to empower women to become leaders in the environmental field. Betty has recently retired from a 35-year career in elementary teaching, and 10 years as an adjunct professor at the university level. 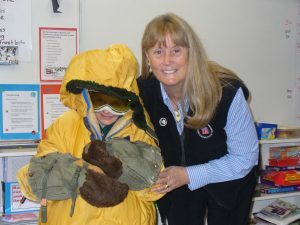 Three expeditions to Antarctica have focussed on education outreach, working alongside scientists at McMurdo Station. Other projects include coordinating a teacher exchange program between US and Swedish educators, working with Polar Educators International, teaching in Zambia with A to Z Literacy Movement, and a student expedition to Arctic Svalbard. Betty is the recipient of the Presidential Award for Excellence in Science Teaching. Her business, The Science Roadshow, provides opportunities to teach through presentations promoting lifelong learning in science. Carol is a social scientist specialising in global and Earth health. For Médecins Sans Frontières/Doctors Without Borders she works on humanitarian principles, refugee issues and access to medicines. As a Fellow in the Arctic Summer College Carol presented on circumpolar health and innovative responses in October 2016 at the Arctic Circle Forum in Iceland. She led the first Antarctic civilian cleanup expedition in 1995/6 with the Russian Antarctic Expedition and recently co-wrote a cultural history book on the topic. 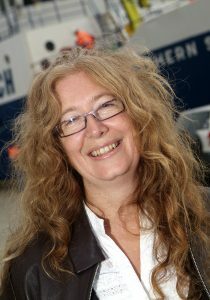 Carol is a member of Society of Women Geographers and The Scientific Committee on Antarctic Research’s Social Sciences Expert Group. Christina is an industrial psychologist, consultant, facilitator and social innovator, passionate about working with teams and organisations that help to make the world a better place and develop innovative solutions for ‘wicked problems’. As a scholar, Christina has contributed to the Body of Knowledge on change management, socio-technical system analysis and optimisation, human-centered design, sustainability, collective impact and cross-cultural management. Christina has an avid interest in supporting the transition into the decarbonised economy and is the founding Director of the community energy organisation ClearSky Solar Investments. She currently works with Transport for NSW on innovation and change management. 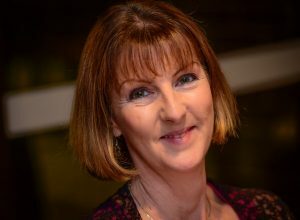 Colleen has worked in secondary education for 25 years, teaching secondary science, managing departments and mentoring. In 2013, Colleen moved to Earth Ed (specialist science centre). There she writes curriculum, presents PD and teaches. Colleen also lectures (Science & Technology) at Australian Catholic University. In 2009, Colleen founded Fifteen Trees and has since helped coordinate the planting of 85,000 trees across Australia. Colleen has a Bachelor of Education (Environmental Science). She is the local coordinator for Al Gore’s Climate Reality Project. She calls herself a vegetarian and bike commuter, but concedes both are half-arsed. Colleen lives in Ballarat (Australia). Deborah is a passionate scientist (PhD) with 7 years’ experience in demography, population dynamics and evolutionary ecology. Her main study species have been albatrosses in sub-Antarctic islands so far, but her mathematical models are adaptable to an array of plants and animals. She is specialised in disentangling the respective effects of human impact (fisheries) and climate change in endangered species juggling with extensive datasets to advise conservation agencies. She successfully combines a promising academic profile with enthusiastic science communication to convert as many people as possible to a more sustainable way of living. Elvira is a climate change ecologist who specialises in marine ecosystems. 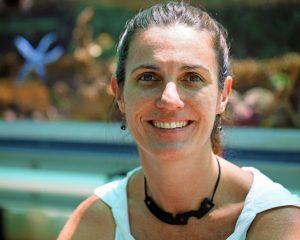 Her research focusses on climate change impacts and vulnerabilities for marine life, as well as the industries and human communities that depend on the ocean. Her work has furthered our understanding of climate change threats and benefits for coastal and marine systems, and helped to identify pathways for adaptation. She was an author of the Fifth Assessment Report of the Intergovernmental Panel on Climate Change (IPCC) contributing to chapters on the ocean, detection and attribution of observed impacts, and the summary for policymakers. Elvira has recently joined the Alfred Wegener Institut as Director of Science of Working Group II of the IPCC. Glenna is a veterinarian with a specialisation in diagnostic pathology. 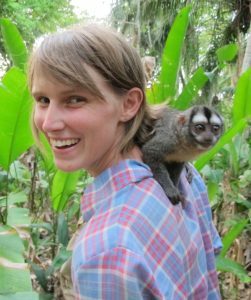 She works for the British Columbia Ministry of Agriculture and the Canadian Wildlife Health Cooperative doing disease surveillance and cause of death determinations on a wide range of species including livestock, pets, zoo animals and wildlife. Following vet school and a few years as mixed animal private practitioner, she chose to specialise in veterinary pathology as she feels it is a discipline with great potential to improve animal, including human, health higher upstream thanks to its ability to tackle a problem from the level of the molecule to the level of the ecosystem. Dr Ida Kubiszewski is a Senior Lecturer at the Crawford School of Public Policy at The Australian National University. She is also a UN negotiator on climate change, following adaptation and loss & damage, for the country of the Dominican Republic. Dr Kubiszewski is a lead author, representing Australia, on the global assessment of the Intergovernmental Science-Policy Platform on Biodiversity and Ecosystem Services (IPBES). 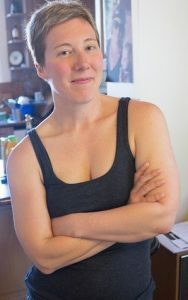 She is the founding managing editor and current co-editor-in-chief of a magazine/journal hybrid called Solutions, as well as the author or co-author of dozens scientific papers and five books. Joana developed an early interest in nature, culture and interdisciplinary studies. She was born in Canada, grew up in Portugal and spent her teenage years and first years of college in Ireland. Having lived in three different countries, she had many opportunities to explore different natural habitats and to understand distinct cultural backgrounds. Now finishing her graduate program on the governance of the octopus fishery in southeastern Portugal, as part of an international research network called Too Big Too Ignore (http://toobigtoignore.net/), she aims to discover new inventive ways to improve our natural resource use, and environmental education. 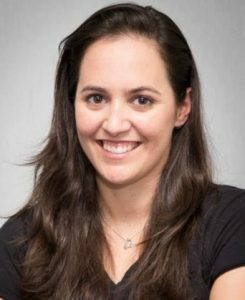 Dr Karen Hawke is a Postdoctoral Fellow at the South Australian Health and Medical Research Institute. She is a medical scientist who works in the area of molecular epidemiology and phylogenetic analysis of infectious diseases, predominantly HIV. She is also a passionate advocate for gender equity across the STEMM sector, including in leadership. Karen believes Homeward Bound is a unique opportunity to take a collective, global stance on this important issue, and also to hone and shape leadership abilities as female scientists and role models for others. Always a traveller and a student of life, Kerry O’Brien has a tenacity to follow her passions and chase her dreams. With interests piqued by biology, sport, the great outdoors, community and sustainability, Kerry has worked within research organisations in plant science (e.g. CSIRO), in commercial viticulture and environmental operations, and with government organisations in the utilities industry (environment and social sciences). While Kerry is a strong community advocate helping rural women and regional organisations in a voluntary capacity, she still finds time to follow her out-of-control hobby of sports injury management (recently returning from Rio at her 4th Olympic games), as well as planning and developing a sustainable farming venture in rural Queensland. Leanne studied Chemical Engineering at the University of Newcastle as a mature-aged student, following six years as a Veterinary Nurse. After leaving University, Leanne has been involved in several heavy industry projects and designs, including the reduction of CO2 emissions. She recently moved to Sydney as a Water Systems Supervisor at Taronga Zoo. Passionate about saving water and animals, the move was a natural fit. On weekends, she loves to ride her motorcycle and play guitar. She’s proud to be a part of the Homeward Bound experience. Lucy is currently a physicist working in the area of length metrology in New Zealand, including nanometrology. Metrologists seek to harmonise and standardise measurements made all over the world, and improve the accuracy of everything that we can measure. Lucy has inadvertently occupied male-dominated fields and sports, and is always interested in improving the perception of women in these. 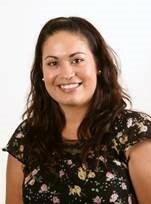 Lucy studied botany and physics at Massey University in Palmerston North (NZ), Cambridge University (UK), and works in the Measurement Standards Laboratory of NZ (part of the government agency Callaghan innovation). Lucy is mad about whitewater kayaking, hiking, the outdoors and conservation, and represented NZ for many years in canoe slalom. 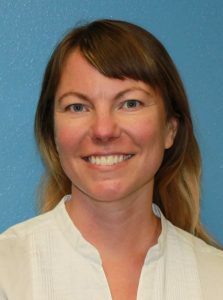 Melissa Haeffner, PhD, is a post-doctoral researcher with iUTAH (iUTAH innovative Urban Transitions and Aridregion Hydro-sustainability) in the Sociology Department at Utah State University. She teaches courses in environmental sociology, political ecology and global cities. Melissa completed her doctorate in Human-Environment Interactions at Colorado State University. Her work focusses on bridging the social and natural sciences to advance scholarship in water management and climate-related hazards. 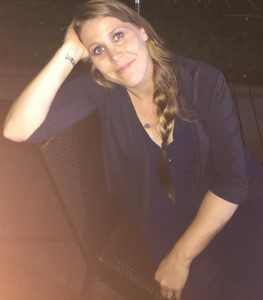 Melissa holds a Master of Science in Urban Studies and Planning from the Massachusetts Institute of Technology and a Bachelor of Arts/Master of Arts in Sociology from DePaul University. Since 2011, Molly has been a research technician involved in a world first innovation program to develop a sustainable land-based spiny rock lobster industry. First working on the tropical species, Panulirus ornatus, in tropical Cairns then following the passion for rock lobster aquaculture to Southern Tasmania, now working on the commercialisation of three different species, all found within Australian waters. Molly is now a supervisor and Assistant Hatchery Manager at the Institute of Marine and Antarctic Studies, focussing on developing technology for the complex lifecycle of spiny lobster larvae, with larval phases lasting from 100-300 days. 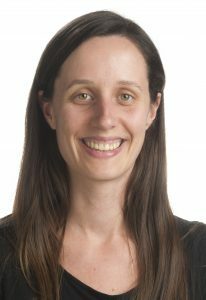 Dr Nicola Gaston is Associate Professor in Physics at the University of Auckland, and Deputy Director of the MacDiarmid Institute for Advanced Materials and Nanotechnology, a New Zealand Centre of Research Excellence. She was elected the President of the New Zealand Association of Scientists in 2014 and 2015. She is the author of Why Science is Sexist, a book published in 2015 by Bridget Williams Books in which she assessed the current scientific literature on unconscious bias, and the ways in which this explains the gender imbalances evident in the sciences. Niina is a sustainability professional working at the interface of science and policy. Her passion to protect the environment was ignited by growing up surrounded by Central Finland’s forests and led her to study environmental sciences at University of Jyväskylä. Then she examined bioenergy policy planning at the European Commission’s Joint Research Centre (Italy), completing her PhD at Lund University (Sweden). 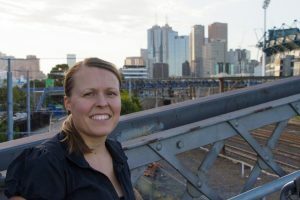 Since moving to Melbourne, Niina has supported building of more sustainable and resilient cities in the face of climate change through research, policy advice and facilitating a low carbon living project in her municipality. As a snow lover, she would love to ski with penguins in Antarctica! 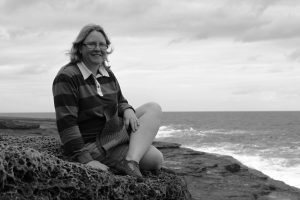 Dr.Raeanne Miller’s energy and enthusiasm for science and communication permeate her work as a marine ecologist at the Scottish Association for Marine Science. She is interested in understanding how man-made structures such as oil and gas platforms and offshore wind turbines affect marine organisms and ecosystems. Raeanne has a strong entrepreneurial spirit, and works to bring together marine scientists, policymakers and industry to find new applications for cutting-edge marine science. She is an advocate of public engagement and has worked with schools, developed activities for music festivals, and delivered public lectures to encourage dialogue around marine science across diverse audiences. Ruth is a mathematician specialising in operations research, programming and statistics. 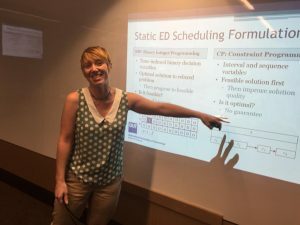 She has a PhD in Mathematics from Queensland University of Technology with a focus on dynamic task scheduling for a hospital emergency department. She has worked across multiple industries including defence, sustainable transport and healthcare. As an analyst and researcher, her quantitative skills deliver critical insight and decision support. Her core focus is on modelling and analysis to improve healthcare delivery. Ruth is also a keen promoter of STEM careers through science outreach programs such as QUT Extreme Science and Soapbox Science. Sandra (26 years’ old) is a PhD candidate from the ARC Centre of Excellence in Plant Energy Biology, at the University of Western Australia. Her research investigates how plants adjust their metabolism in response to changing temperatures, in particular cold stress. With such knowledge, Sandra hopes to contribute to the global effort to produce crop plants that thrive in future changing climates. Sandra aspires to lead her own research team in the future. Although just 15% of top-level scientists are women, Sandra hopes to changes these trends through her participation in Homeward Bound. Sarah is a British geologist living in a little beach house 200m from the Indian Ocean in Perth, and spends half her time in the West Australian desert looking after her small team as they search for gold underground. Curiosity drove her to study geology; she’s fascinated by the the power of plate tectonics and how it shapes the landscapes around us. She also loves to make art and considers herself an artistic scientist (is that an oxymoron!?). 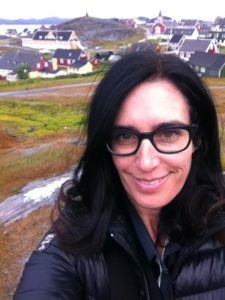 Dr Shelley Ball is an ecologist, educator, photographer, and environmental storyteller and founder/president of Biosphere Environmental Education, an organisation that combines photography and exploration as ways of connecting people to nature, and inspiring them to preserve it. Shelley is passionate about youth education and inspiring young people to take action on Earth’s most pressing environmental issues. She does this through her Youth Environmental Ambassadors Program, where she takes youth on local and worldwide environmental learning expeditions, teaching photography/video as environmental communication tools. She is passionate about inspiring young leaders who will guide their generation to a sustainable future. Wynet has more than 20 years of international experience in natural resources policy, planning and management. 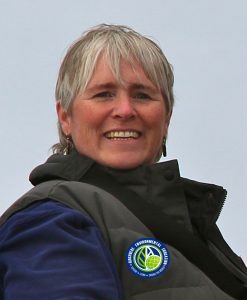 She is currently Executive Director of Global Forest Watch Canada. Her positions have included being: the Director of Integrated Planning for the Canadian Boreal Forest Agreement; the Coordinator and Natural Resources Expert of the UN Security Council’s Panel of Experts on Liberia; and a lecturer at St Catharine’s College, University of Cambridge. She has also worked at the World Resources Institute, as well as for co-management and Aboriginal organisations in northern Canada. Wynet has a PhD in Geography from the University of Cambridge, a MSc in Geography from McGill University, and a BA from Concordia University. 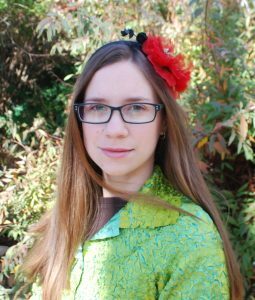 Amanda is a post-doctoral researcher in structural biology at the University of Western Australia. She uses techniques such as X-ray crystallography to understand the macromolecular structure and function of key proteins that could potentially open doors for new drug therapies and treatments in disease. Amanda hopes that her participation in Homeward Bound helps to redress the gender imbalance in the upper levels of science as, without strong female mentors, it is much harder to encourage and inspire women to stay in science. Dr Andrea Fidgett is a passionate and committed conservationist who, for almost 25 years, has been providing wildlife nutrition answers contributing to species conservation. 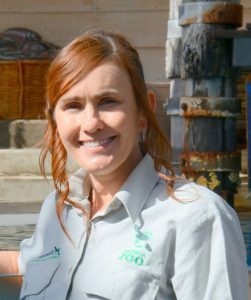 At San Diego Zoo Global she leads the Nutritional Services team in supporting the dietary needs of 7500 animals of more than 800 species. An articulate and instantly credible communicator and consensus builder, she encourages open and frank dialogue, and engages multiple stakeholders in achieving their objectives. A warm and empathetic team leader and mentor, Andrea conducts targeted, collaborative doctoral research, chairs professional committees and is a founding Editorial Board member of the online, open-access Journal of Zoo and Aquarium Research. Outside working hours, she likes landscapes, cityscapes, seascapes – in fact, vistas of all descriptions and loves travelling to find them, not least for the mini-adventures and folks met on the way! Ashton is a PhD student at James Cook University working with the ARC Centre of Excellence for Coral Reef Studies in sunny Townsville, Australia. 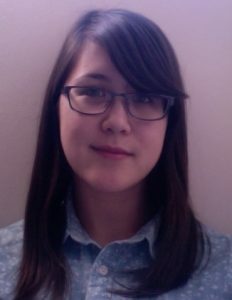 Interested in ecology and evolution, she uses behaviour and ecology paired with molecular genetic techniques to answer questions about marine taxa. Ashton is a keen diver, conducting research on the Great Barrier Reef, Papua New Guinea and the Solomon Islands, and hopes to pursue a career in research and teaching. 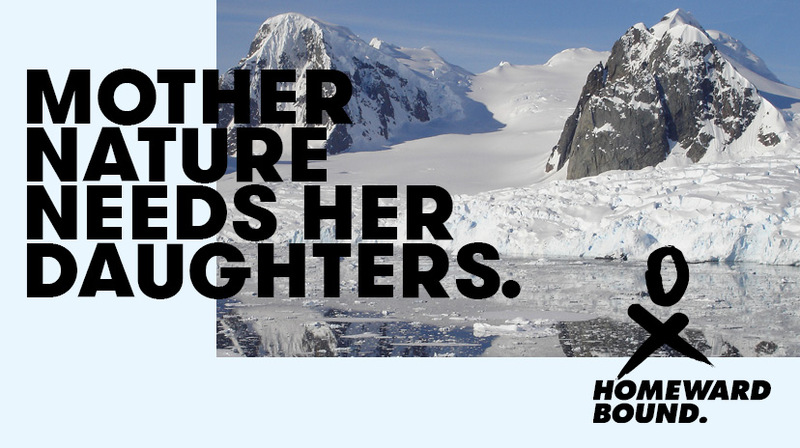 Passionate about women in science and scientific diving, Ashton is excited to be involved in Homeward Bound to enhance understanding and inspire discussion on climate science. 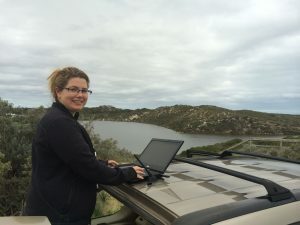 Briony is a PhD Candidate in geospatial sciences at the University of South Australia. Her research is centred around the use of satellite-based remote sensing to inform, monitor and evaluate environmental policy and decision making. Briony has a background in spatial sciences with an Honours degree in Geoinformatics and Surveying. She has returned to research after working in the field as a surveyor for five years. 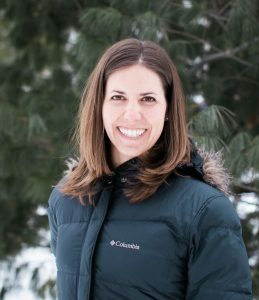 She aims to help strengthen the connection between research and environmental policy and planning. Cathy is a food microbiologist and Team Leader with CSIRO Agriculture and Food. Her work involves providing expert professional services and advice to assist industry and government with matters relating to food safety hazard identification and characterisation, risk assessment, and management of the microbiological safety and stability of food. Cathy is actively involved in the professional community through the Australian Institute of Food Science and Technology (AIFST) and the Food Safety Information Council Ltd (FSIC), Australia’s leading disseminator of consumer-targeted food safety information. Outside of work, Cathy’s lifelong passion for snow skiing keeps her on the run during winter and staying fit during summer. 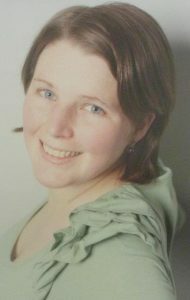 Dr Tina Schroeder received her MSc in Chemistry from University of Kalmar, Sweden in 1997 and graduated with a PhD in Pharmacology from The University of Queensland, Australia in 2003. 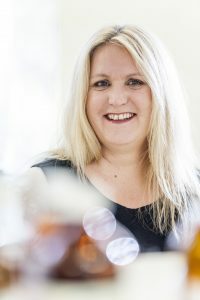 Following postdoctoral positions at the Institute for Molecular Bioscience (IMB), The Scripps Research Institute, CA, USA and the University of New South Wales, Sydney, she was recruited back to The University of Queensland in 2011 to manage academia-industry collaborations at IMB, focussing on the use of bioactive peptides in drug design. She completed a Graduate Certificate in Research Management in 2013 and was named the inaugural IMB Industry Fellow in 2015. Danielle is a physician trainee, with interests linking environment and health. Danielle’s PhD from the Australian National University focussed on leaf anatomy and climate tolerance of subantarctic plants. She subsequently completed a medical degree, focussing on Indigenous health. Her medical school hayfever research project opened the doors to an international collaboration on airborne pollen and allergy. 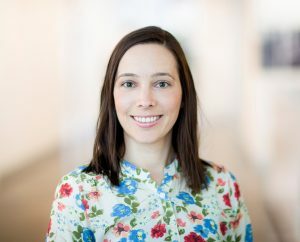 In a postdoctoral fellowship at Harvard, she identified a global risk of dietary protein deficiency under elevated CO2, driven by changes to crop quality. Currently a junior doctor in Auckland, she is part of the AusPollen collaboration, developing an Australia-wide clinically-targeted pollen monitoring network. 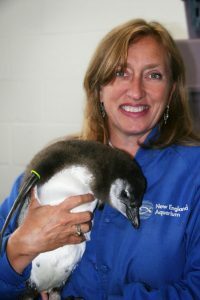 Dyan deNapoli (AKA The Penguin Lady) is a penguin expert, TED speaker, and author of the award-winning book, The Great Penguin Rescue. 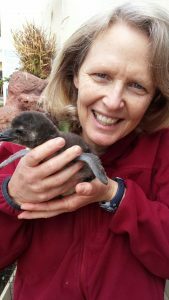 A former penguin aquarist, Dyan lectures internationally to raise awareness and funding to protect penguins, donating 20% of her proceeds to penguin conservation. She has been a sought-out expert on radio and TV since 1995, including appearances on CNN and the BBC, and has been the guest lecturer on nature cruises to Antarctica and the Galapagos Islands. A four-times TEDx speaker, Dyan’s inspiring talk about saving 40,000 penguins from the Treasure oil spill can be viewed on www.TED.com. Fern manages Science Communication and Collaboration at the Arthur Rylah Institute for Environmental Research (ARI) in Victoria, Australia. She connects people and knowledge; within ARI, and beyond. 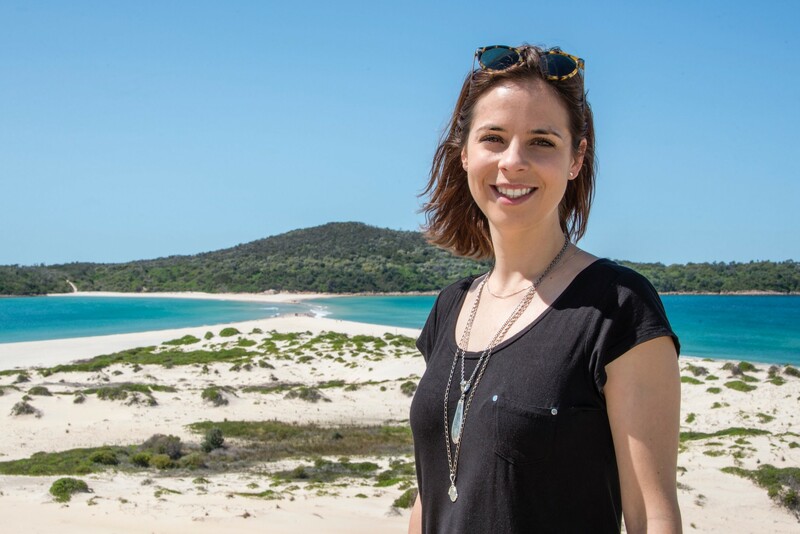 She has a research background in Antarctic algae and freshwater fish, and extensive experience in engagement, environmental education and citizen science, from Australia’s wild deserts and Wet Tropics to India. Fern has volunteered in Australia, Tanzania, Myanmar and Pakistan and was a founding member of the Jane Goodall Institute Australia. Fern plays an active role in emergency management. B.Sc (Hons), Grad Cert Australian Rural Leadership, and Fellow of Australian Rural Leadership Foundation. Dr Heidi Steltzer is a dedicated environmental scientist who sparks conversations that illuminate the connection of science and society. 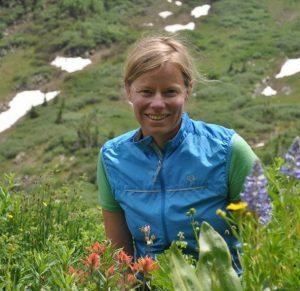 As an Associate Professor of Biology at Fort Lewis College in Durango, Colorado, Heidi promotes collaboration and the development of new approaches to increase success in science communication, education and environmental research. Living in this spectacular mountain region and writing and teaching about its multi-faceted environmental issues, including a recent op-ed on river health, has strengthened Heidi’s commitment to discuss the impacts of environmental changes on ecosystem health and the well-being of future generations. Her research has been published in Nature and featured in the New York Times. 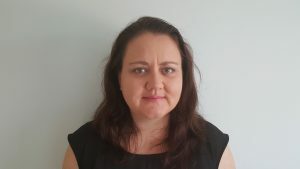 Jennifer is a chemical engineer / metallurgist with over 15 years’ experience in mineral processing industry in both Australia and internationally, working on a variety of commodities including gold, copper and coal. Jennifer has experience leading diversified teams of Process Engineers as the Manager for Process Engineering for the largest coal processing plant in Africa, as well as being discipline lead for the Process Engineering teams across nine sites in Australia. Jennifer is passionate about ensuring that there is diversity in the workforce, gender diversity, as well as diversity of thought. Joanna is an outdoors addict with a love of mountains. 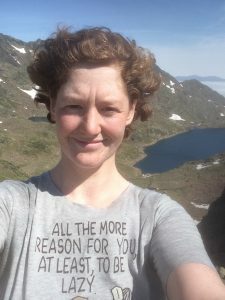 Born in Toronto, Canada and with a background in Astrophysics (BS), Philosophy of Science (BA) and now Geophysics (MS), Joanna is a PhD student at the University of Alaska Fairbanks, USA, studying how Alaska’s glaciers are shrinking in climate change. 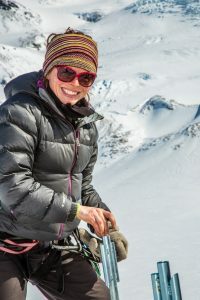 Joanna is also Program Lead for Girls on Ice Alaska, a unique, free, mountaineering and science experience for underserved high school girls on a sub-Arctic glacier. Joanna also studies the impacts of Girls on Ice on perceptions of climate change. Outside of work, Joanna lives in a cabin, runs trails, skis the backcountry and rafts rivers, to keep up with her superhuman partner and be as close to the wilds as possible. Kate is a knowledge explorer, enabler and social change activist with expertise in design thinking for social innovation, strategic planning, transformative scenario planning, program design and evaluation, process design and evaluation, and soft skills training and group facilitation. 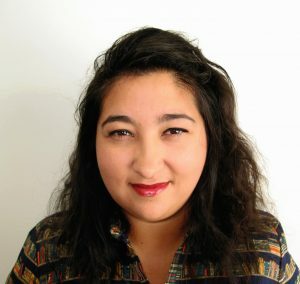 She has worked cross-culturally over two dozen times in 15 countries across Asia Pacific, designing, implementing and evaluating capacity building and leadership programs for organisations across many sectors, including the international aid and development sector, the Australian Environment Movement, and the Defence and Intelligence communities. Kate’s work uses adult learning theory, and participatory, collaborative approaches that enable people to work together and find their own solutions to problems, making the results sustainable and ensuring ownership. 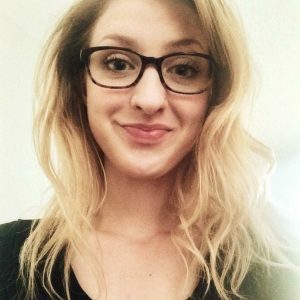 Lauren is a Southern California native growing up in the suburbs of Los Angeles. She attended Scripps College receiving a Bachelor of Arts degree in Film and Fine Arts. Lauren started working at SeaWorld San Diego in the Education and Conservation Department. 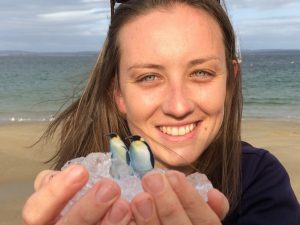 From there she moved to the Bird Department helping raise penguin chicks and starting her career working with a variety of species of waterfowl, parrots, flamingos, puffins and more penguins. Lauren participated in the Treasure oil spill in 2000; assisting a team of responders in caring for nearly 40,000 penguins including 700 penguin chicks. Lauren has a passion for sharing stories about her work and how everyone can make a difference in preserving our natural world. 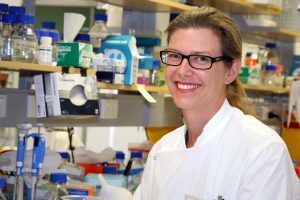 A/Prof Lindy Fitzgerald is a neuroscience researcher at The University of Western Australia, leading a team of 12 researchers and students. Her research is focussed on understanding the nature of damage following neurotrauma. She uses this knowledge to design and test therapeutic approaches, including pharmacotherapies and nanotechnologies. Dr Fitzgerald has published 63 papers, holds a Career Development Fellowship from the National Health and Medical Research Council, Australia, and leads two Project Grants. 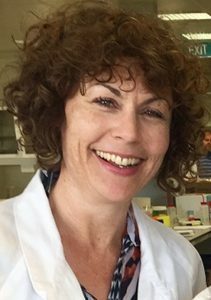 Dr Fitzgerald convenes the annual Symposium of WA Neuroscience, Chairs Departmental committees and is a founding coordinator of the Faculty Gender Equity in Science group and mentoring program. A/Prof Margaret Barbour grew up in the central North island of New Zealand, completing Bachelors and Masters degrees at the University of Waikato. She moved to Australia in 1996 to complete a PhD in Plant Science at the Australian National University. 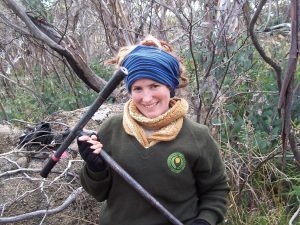 After holding a research position with Landcare Research in Christchurch, New Zealand, she joined the Faculty of Agriculture and Environment at the University of Sydney, Australia in 2010. 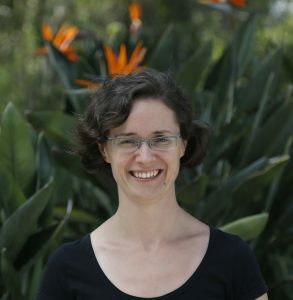 As an experimental plant physiologist, Margaret has developed novel stable isotope techniques and mechanistic models to study the dynamics of exchange of carbon and water between plants and the atmosphere. Dr Meredith Nash is a Senior Lecturer in Sociology at the University of Tasmania. She is an expert in gender and social change. With her team at UTAS, she is evaluating the Homeward Bound program and will be following selected participants for the next three years to see how they utilise the skills gained on the program. This evaluation will provide essential knowledge for the development of long-term industry and policy responses to elevating women in STEMM globally. Monica was born and raised in Costa Rica and now splits her time living both there and in Oslo, Norway. She started working on sustainability when she was 19 and has worked on this non-stop for more than 20 years. She has lived, studied, and/or worked in 8 countries in the Americas and Europe. In 2014 Monica founded Nivela, a thought-leadership group devoted to clean development. She also co-founded Costa Rica Limpia, a citizen initiative (limpia means “clean”). Monica studied economics in Costa Rica and environmental management in the US. She earned both a Bachelors and a Masters degree at Costa Rica’s National University. She earned Masters and PhD degrees at Yale University. Combining local and global work is vital to Monica. She writes frequently for the press and online platforms worldwide. Nicole, 27, is a PhD student at the Institute for Marine and Antarctic Studies in Hobart, Tasmania. Nicole is looking into how Antarctic Krill will adapt and change their physiology (specifically their oil content and composition) due to climate change. Nicole hopes to understand what will make the krill fishery more sustainable into the future and under different climate change scenarios. She wants to improve her leadership attributes and policy writing skills while on Homeward Bound so that she can assist the krill fishery moving forwards under her recommendations. Homeward Bound will be Nicole’s second trip to Antarctica, but her first setting foot on the continent. Nina is currently undertaking her PhD in Climate Change ecology at the Australian National University in Canberra. She is interested in how changes in climate are affecting body size, survival, when egg laying occurs and population sizes in birds. She has always loved being outdoors and under the water, which has led to her passion to not only learn more about how our world works, but to try and protect our precious environment. Nina has many interests including scuba diving, skiing, bush walking, food and music. She loves to travel, meet new people and experience new cultures. Renate’s 25 year career spans industry, university and not for profits. She has managed technology development in Australia and Germany and led industrial research projects with China. Renate is a Chair and Co-Founder of Solar Analytics, commercialising a new Australian solar monitoring technology. 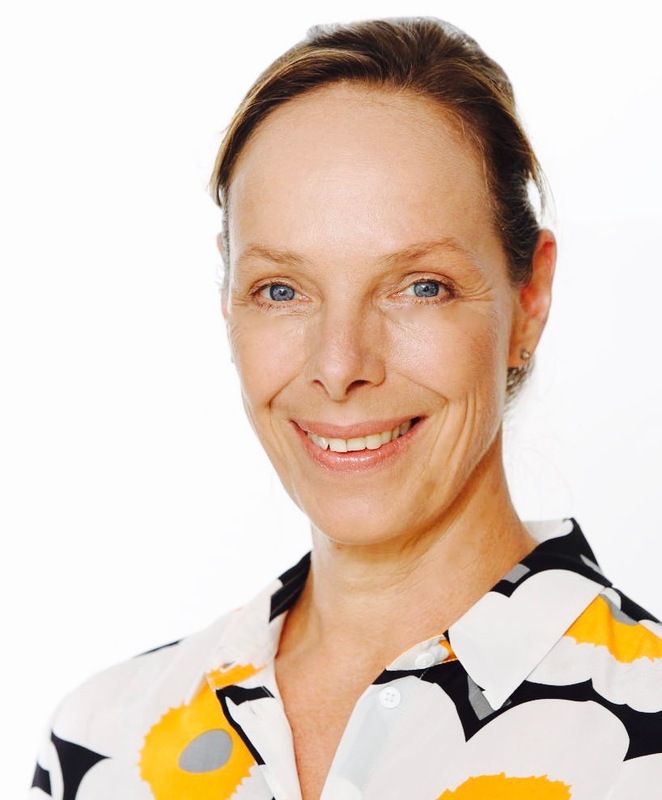 Renate is also Associate Professor at the University of New South Wales, leading the UNSW activity in the Australian Centre for Advanced Photovoltaics and is Chair of the Australian PV Institute. The mother of two teenagers, Renate is passionate about using her skills and knowledge to making a difference through the increased uptake of solar energy. Samantha is a soil scientist with a passion for research that creates real change in society. Her research interests centre around the fluxes of carbon, water, energy and nutrients through the soil-plant-atmosphere continuum: the critical zone processes that support life on Earth. 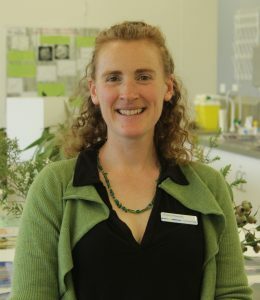 The results of Samantha’s research have contributed to protection of ecosystems (Australia’s Alpine Sphagnum Bog community and Tropical Savanna Woodlands), better greenhouse gas accounting (new emission factors for ammonia in New Zealand) and soil carbon storage in agricultural ecosystems (best management practises for liming and claying). Indonesian peatland restoration is the main focus of her current research. 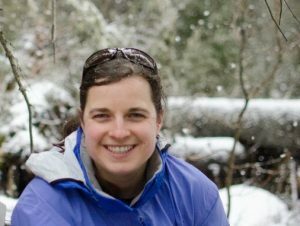 Her PhD research contributed to the Victorian Government’s landmark decision to end cattle grazing in the Alps in 2005. Sarah is an observational astronomer focussed on how the most massive galaxies in the Universe grow over time. 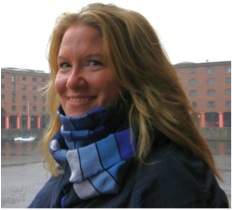 She undertook her PhD studies at Liverpool John Moores University in the UK. In 2004 Sarah moved to Australia to work at Swinburne University. 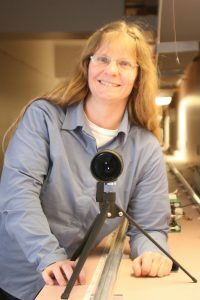 Since 2009 she’s worked at the Australian Astronomical Observatory, where she has been involved in several major surveys of galaxies using the Anglo-Australian Telescope. Sarah currently holds an ARC Future Fellowship. She is also the Chair of the Astronomical Society of Australia’s Inclusion, Diversity and Equity in Astronomy Chapter. 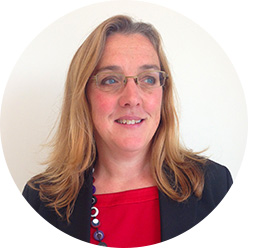 CEO, SEA – Sustainable Energy Advice Ltd.
Tracey is a science communicator working in environmental education for over 23 years. She is an aquatic scientist, environmental Sscience and STEM teacher. 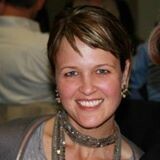 Tracey owns Moonbird Education, writing and delivering education programs. She’s focussed on sparking curiosity in science, igniting a connection to the natural world and empowering youth. 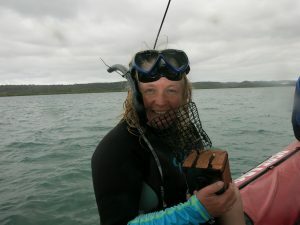 In research, Tracey’s specialty is temperate marine ecosystems and she is a scuba diver. 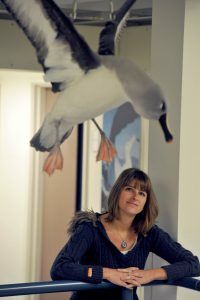 Having been selected to participate in Homeward Bound, Tracey will realise a lifelong dream visiting Antarctica. She is excited about this opportunity to develop her leadership skills, explore impacts of climate change and work with others to work towards a positive global future.